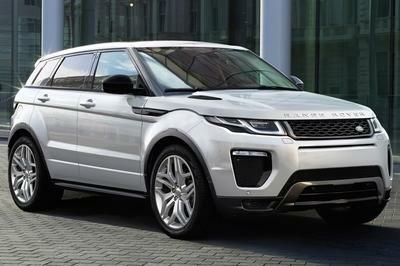 When debating Land Rover models, the Range Rover Evoque is our second favorite after the Range Rover Sport, of course. Apparently we are not the only ones with this particular interest in the British SUVs. Kahn Design also developed quite a passion for the Land Rover models, with most of its designs being based on various Range Rovers. 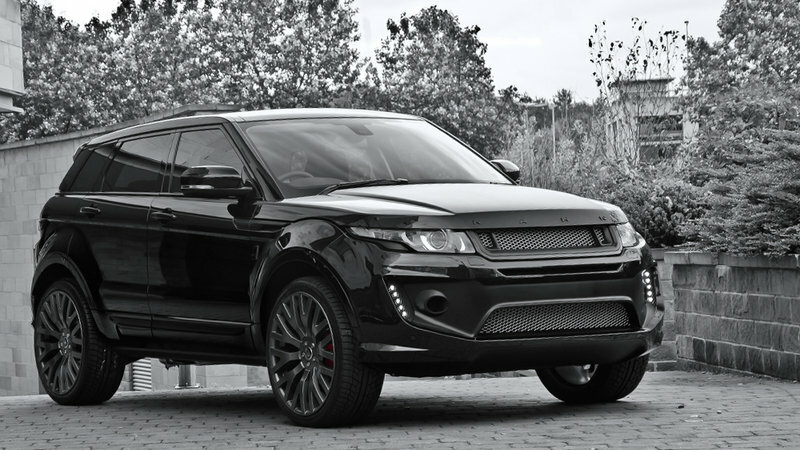 As we close out another Thursday, Kahn provides us with yet another wonderful Range Rover update, but this time, the design firm opted to customize the Evoque. 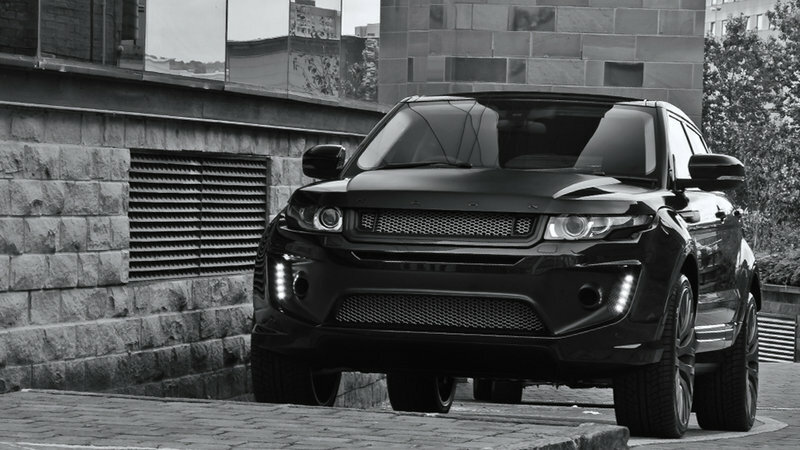 And this Evoque is all about the color black. Everyone knows that black is the color of elegance, so the new Black Label kit transforms the Evoque into one classy rig. 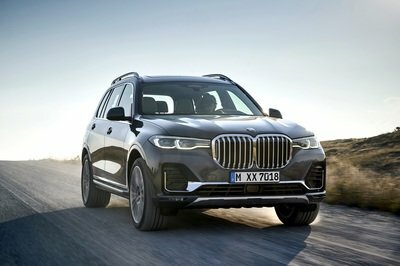 Khan is typically all about the look and feel and doesn’t spend much time tinkering under the hood, and the Black Label is no exception, leaving the 240-horsepower, in-line four-cylinder engine unchaged. 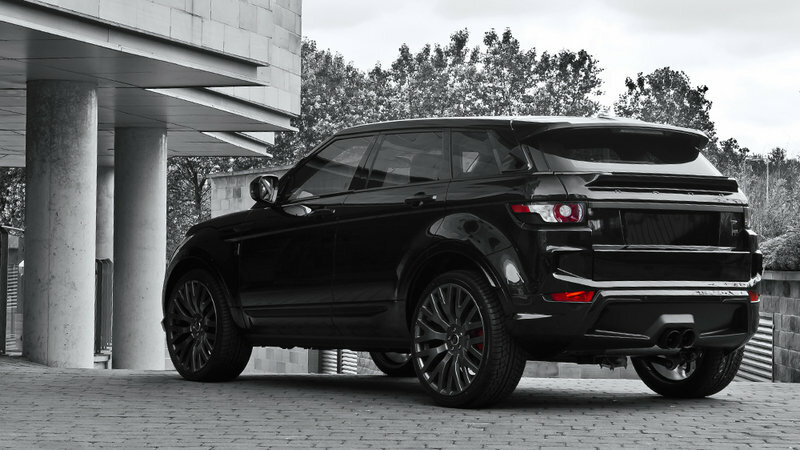 Click past the jump to read more about the Range Rover Evoque Black Label Edition by Kahn Design. The Black Label kit includes the usual update elements you will see in a Kahn tuning package. 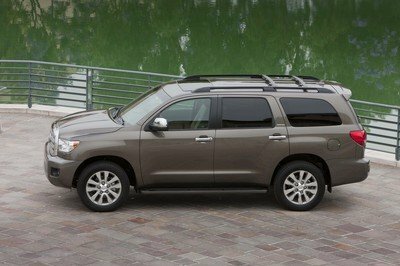 It starts with a new front grille with 3D mesh, a new front bumper painted in matte black and LED daytime running lights. As the package is all about black, it continues with side sills in gloss black combined with contrasting side vents in cooper and door-sill plates in stainless steel.Even more contrast comes into play with the Vesuvius Orange-painted brake calipers. 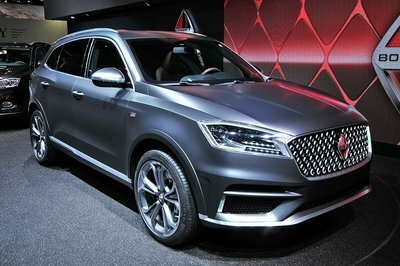 Kahn opted to offer privacy glass to offer a little cover for the passengers, while a new cross-hair exhaust system considerably improved the sound delivered by the four-cylinder engine. Finally, the exterior caps off with a set of 22-inch RS wheels painted in matte pearl. 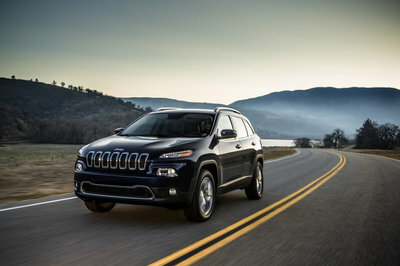 The elegance of the exterior is combined with improved luxury on the interior. For this, the model gets front and rear seats wrapped in perforated leather combined with an Alcantara-covered transmission tunnel. As usual, the gear selector has a diamond look, while the dashboard ad the armrests are all quilted and perforated. Additionally, Kahn always offers the ability to fine tune your Range Rover Evoque any way you’d like from a limitless palette of colors and plenty of materials. With its performance-oriented design, individual Santorini Black Metallic paintwork and exceptional interior trim, the RS250 Evoque has been prepared by the highly skilled, experienced specialists at A.Kahn Design using a combination of hi-tech materials and artisan craftsmanship. In keeping with our lightweight design philosophy, front grille with 3D mesh, front bumper centre section graphic in matt black, front bumper mesh in matt black and silver, LED daytime running lights for front bumper, side sill trim in gloss black, side vent inserts in copper, door entry sill plates in stainless steel, painted floating roof and brake calipers finished in Vesuvius orange, ensure a great deal of motoring supremacy. Driving the RS250 Evoque edition means you sit behind the privacy glass and pilot the engine while listening to the Kahn cross hair exhaust system. Centered round a radical design and interconnected in order to coalesce design and engineering expression, the Kahn cross hair exhaust system is a first cousin only to silence and manners. And how does the RS250 Evoque cope with 9.5” x 22” (matt pearl) RS wheels on the road? Answer: Very nicely! grip and body control are actually better than they are in the standard car, meaning Kahn RS250 owners will gain a great deal of motoring supremacy. 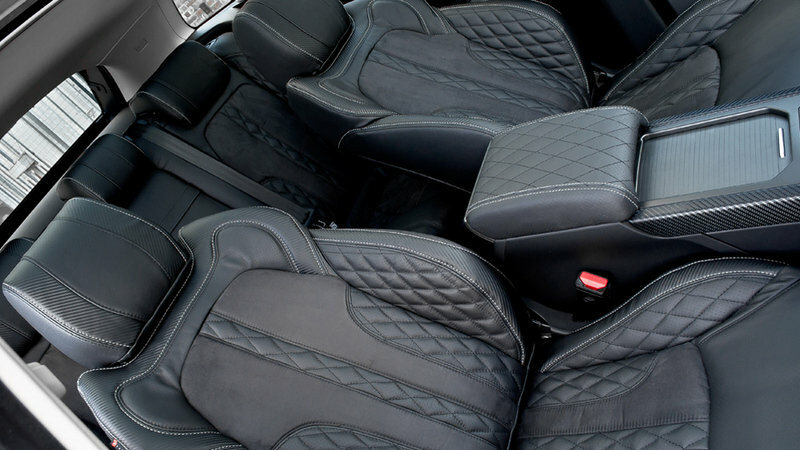 A multitude of improvements to the interior allow the driver to bask in the sheer opulence on offer: front and rear seats in quilted & perforated leather, transmission tunnel in Alcantara with contrast stitching, diamond gear selector, four door armrests quilted & perforated, dashboard quilted & perforated, vented foot pedals in machined aluminum, centre glove box re-upholstered in quilted & perforated leather, dashboard stitching and high quality duty carpet floor mats establish an atmosphere complete with serene detachment and comfort. The company philosophy is to always give the customer what they want, so Afzal Kahn could for example, design you a vehicle with a full colour change (to a colour of your choice) and an interior akin to, let’s say your favourite leather reclining chair in your living room. 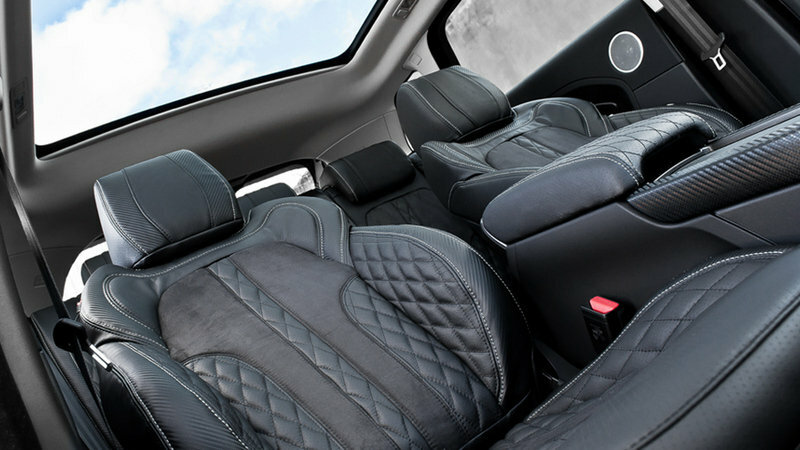 Customers could also change the colour of the clock, or indeed, ask for anything else: The ability to put together a limitless palette of colours into the fabric, leather, trim pieces, and more is there for all to see.